FortNite Battle Royale Changes are on the way! Props to Epic Games for creating one of the most addictive and satisfying FREE-TO-PLAY Battle Royale game that took console gamers and former PUBG addicts by storm. One of the biggest things that sets FortNite apart from PUBG is the constant flow of patches and updates which appear to be dropping on top of our heads bi-weekly to weekly. As of the other day the most recent patch hit servers with the newest release of the Smoke Grenades which allows for a whole new style of gameplay available. 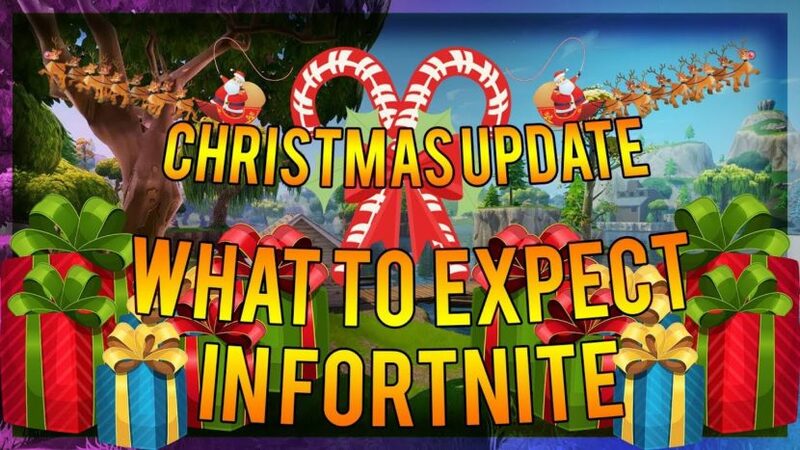 I just want to put on my tin foil cap real quick and run down some of the updates I hope to see for the Christmas season, now that Halloween and Thanksgiving are over, the pumpkin launcher is on its way out and we need something a little more festive to keep the players engaged. 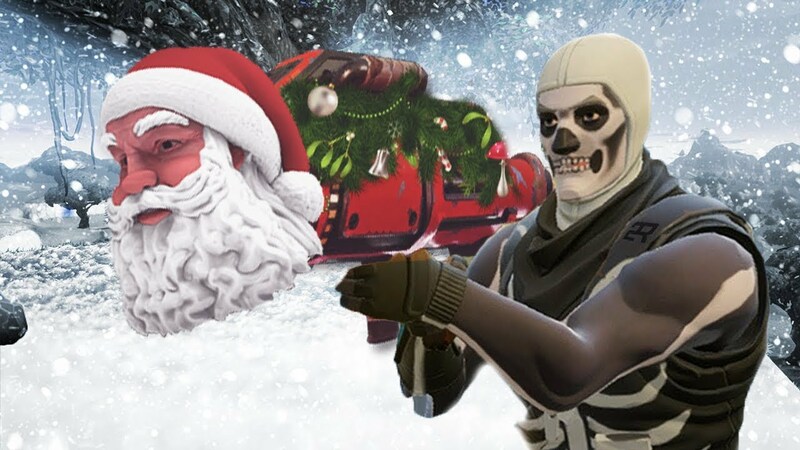 Let’s all don our tin foil caps for a few moments and throw some fan theories out about what may be coming next for the Holiday season for FortNite Battle Royale. One interesting idea is to put an actual reindeer driven sleigh into the air being operated by Santa that drops present boxes for supply drops. What puts you in more of a Christmas spirit than having the actual virtual Santa deliver you ammo and good in supply drops. It has already been hinted at the addition of a snow covered map so maybe they could even integrate some wild life throughout. Maybe add in a few reindeer so we have something else besides the annoying bees buzzing around the map. They also just released the tease for the snowball machine gun, so I would only assume it to be a form of 1 shot weapon that’s incredibly hard to hit but once you do it just downs an enemy. Another exploit many higher tiered players have been using is wall running as they slide down mountains. It is supposed to reduce the amount of fall damage if you turn into the cliffside and run facing it. I think it would be an awesome idea to make it so players slide down the cliffs faster as if you are skiing down the cliffside and you take no damage. Anyway, this might not even be applicable due to the fact that PUBG is dropping this Tuesday and FortNite could actually really suffer a giant dent in it’s player base. It was crazy to see how many people on my friends list on Xbox Live were playing FortNite over the past month, but I know at least half, including myself will be diving head first into PUBG in two days. Stay tuned for possibly some more FortNite content…or maybe PUBG content.